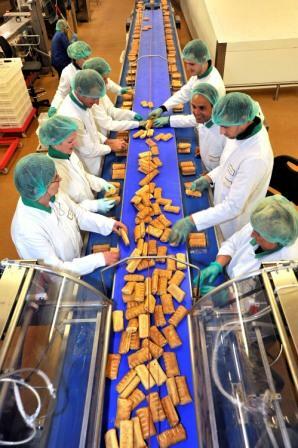 Cornish pastry goods manufacturer Tamar Foods is celebrating a decade of success by joining regional business forum, Beacon South West, as the 24th company to be accredited in Cornwall. Supported by the South West Regional Development Agency (SWRDA), Beacon South West brings together more than 200 of the region’s most pioneering and rapidly expanding organisations providing an environment for exploring new ideas and strategies with other successful companies. Tamar is now just one of 14 Beacon South West accredited food manufacturers from across the entire region including Burts Crisps, Dorset Cereals and Olives et Al. An autonomous business within the Samworth Brothers group, which also includes Dickinson & Morris pork pies and the Ginsters range, Tamar develops and produces chilled, pastry-based savoury foods and deserts for leading UK’s retailers as well as for Ginsters and its own Cornwall’s Pride brand. Furthermore, Tamar is one of Cornwall’s largest employers and, like thousands more across the South West, its 550 strong team will now benefit from the recognition and support of working for a Beacon accredited employer.